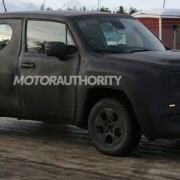 The newest sibling of the famous American Jeep, the 2015 Jeep Renegade was leaked a couple of days ago ahead the Geneva Motor Show, through some information and photos posted by Jalopnik publication. 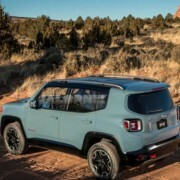 The 2015 Jeep Renegade was first displayed as a concept car back in 2008, previewing the car`s fuel-efficient platform taken from Fiat, which equips the fresh Italian 500L and soon to be put on the same sized crossover 500X. 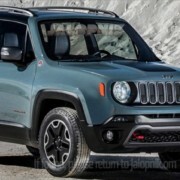 The 2015 Jeep Renegade will first appear as an on-road crossover, sporting a front-wheel system as standard. 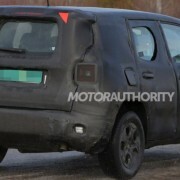 Later on, the crossover will bear an all-wheel drive system. 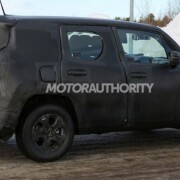 Thus, the vehicle will look like an off-road crossover to sport dark wheels and hood decal. 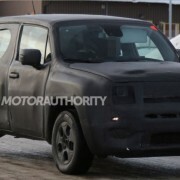 The power under the hood will be provided by a four-cylinder engine, the same used on the present Fiat 500 and Fiat 500L. 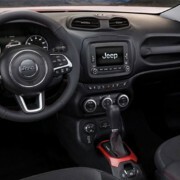 The 2015 Jeep Renegade will be launched on sale this autumn. Until then, just look for the crossover at the 2014 Geneva Motor Show, where the car is already decided to make its final debut. We will keep you posted with the news. 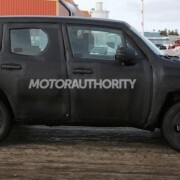 Until then, enjoy the leaked images revealing the 2015 Jeep Renegade on its way to its Geneva auto stand.